A licenced Deluxe Bananaman outfit including Top, Trousers, Cape, Belt, Gloves and Boot Covers perfect for TV/Hero themes! 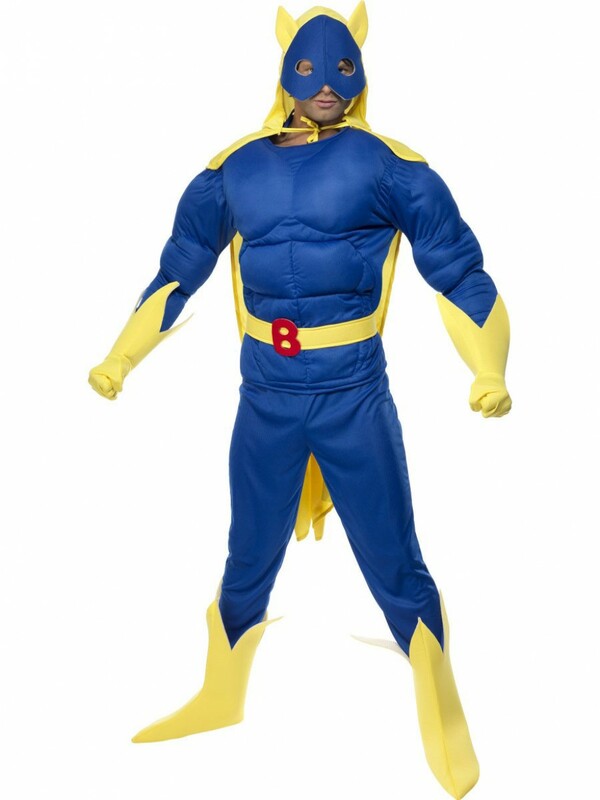 A truly detailed outfit, this Deluxe Bananaman Costume is ideal for Television/Hero/Comedy themed fancy dress. The costume includes Top, Trousers, Cape, Belt, Gloves and Boot Covers. The royal blue top has a padded muscle chest with padded biceps to add extra detail, the matching blue trousers are long-length and in a shiny blue material. Also included in this great costume is a yellow belt to go around the waist with a red ‘B’ as the faux-buckle. A pair of banana-split style gloves reach up to the elbow, whilst the matching boot covers are also in this great design, making this Deluxe Bananaman Costume something you don’t want to miss! 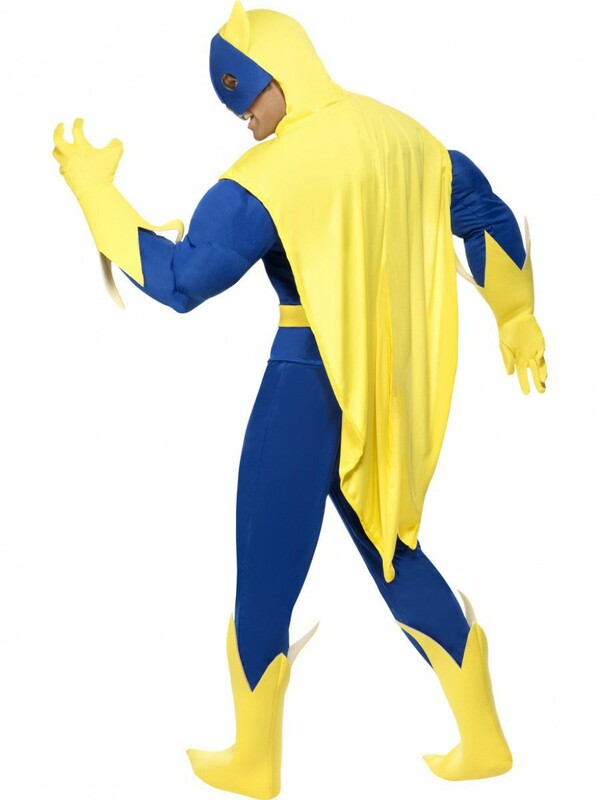 This licenced Deluxe Bananaman Costume is ideal for Hero/TV inspired fancy dress occasions! 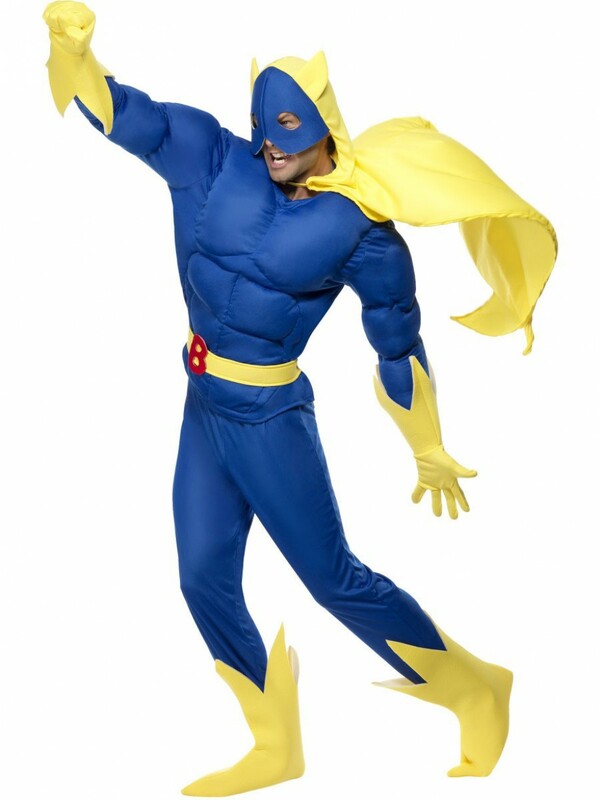 Deluxe Bananaman Costume including Top, Trousers, Cape, Belt, Gloves and Boot Covers.